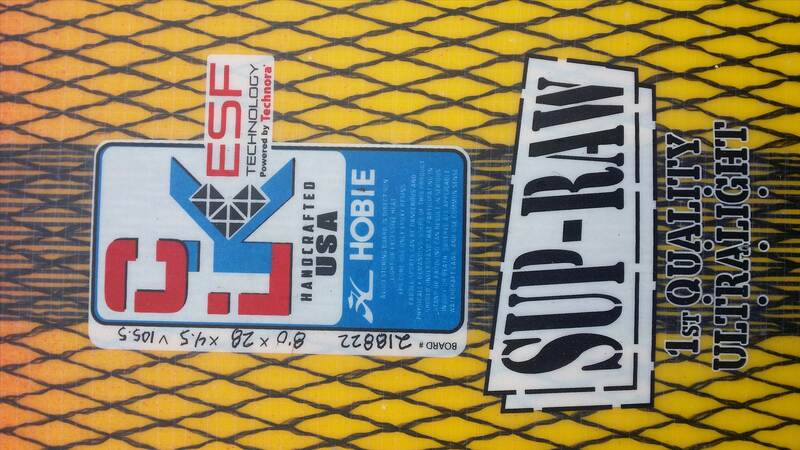 It's taken a little while to get here, but through an enjoyable period of design and refinement with the guys at Hobie in the US, my new board arrived a few days ago. 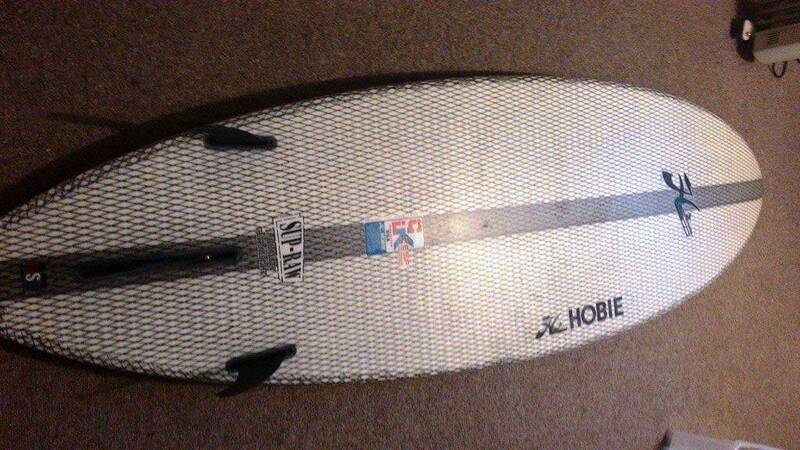 I've been surfing on my faithful 8-4 x 28.5" x110l Hobie CM Torque for a couple of years and have found it to be almost perfect, but over the last 6 months or so, I've found it to be almost too comfortable, even in really junky crap conditions. I decided to go the full custom, feeling the need to go a wee bit shorter, but still maintaining some glide, whilst going a bit narrower and dropping a bit of volume, feeling confident that I have the ability to compensate for the reduced size. The end result is this little beauty. At 8-0 x 28 x 105.5l, it's not the teeny tiniest stick, but for me at 6-2 and 95kgs, I reckon it is just right for me. It's going to take a little while to adjust, but I'm pretty sure this is going to be a great new board. 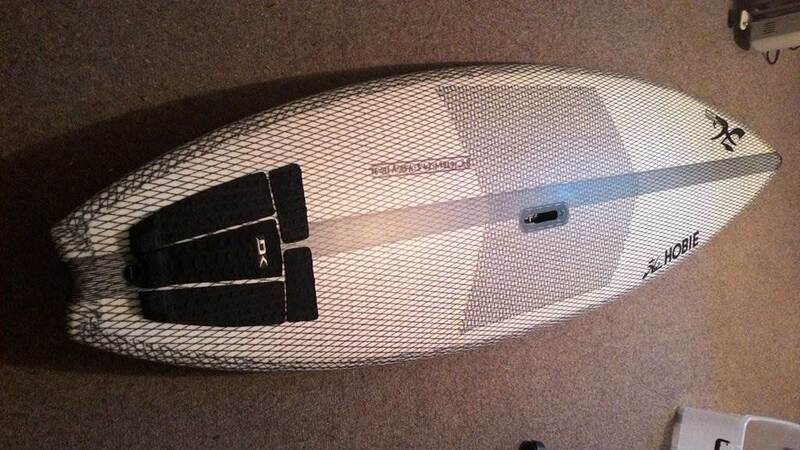 I took it out for a quick surf on Thursday, in blowy onshore after work grovel, but still found it to be super stable and a lively one on the couple of waves I managed to pick. Super stoked with it, and the best bit is that it got here just in time for Merimbula! Great looking board!! !...10 litres above body weight WOW!! 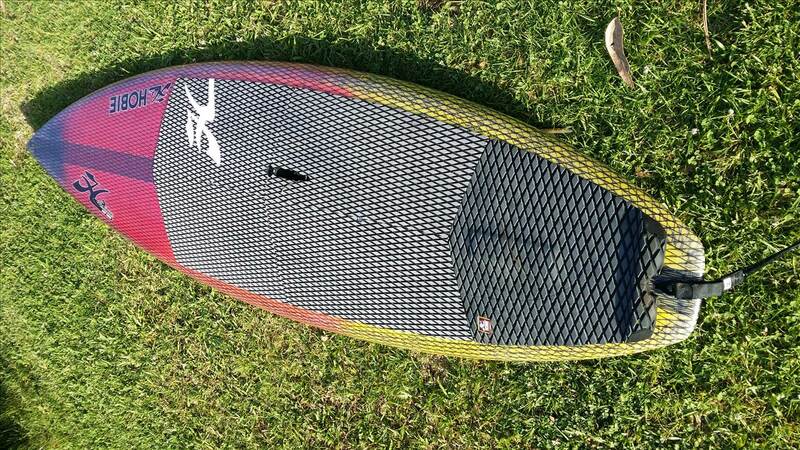 Beautiful board.... I have owned a bunch of them.... great quality and rippers. Kudos on your skills....those numbers are way above my pay grade. 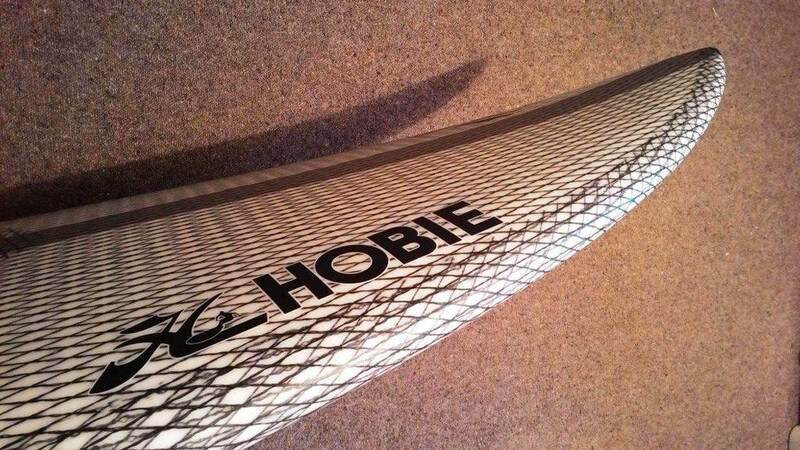 Glad that someone is finally talking about Hobie again! 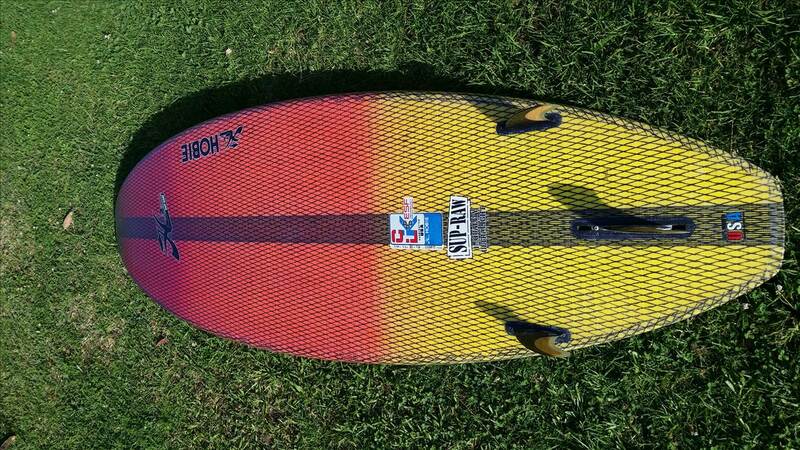 I have the 8'4 Raw at 110l. Absolutely love the board. And your 8'0 looks great. Did you order it from them direct?